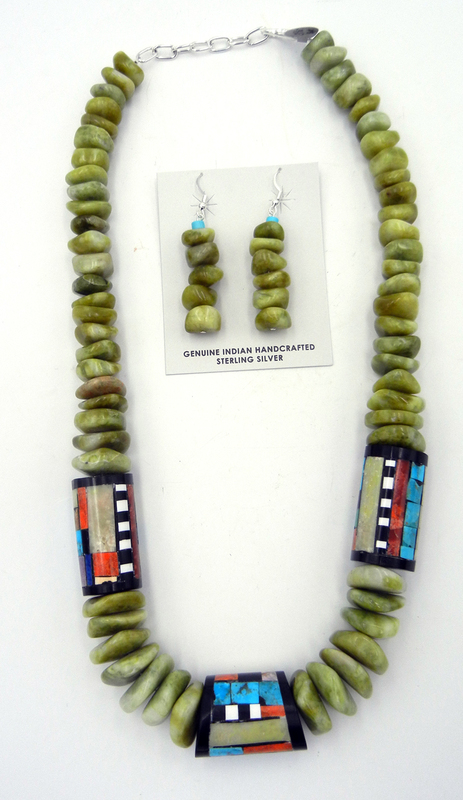 Large, lime green serpentine beads combine with barrels inlaid with multiple stones in this incredible necklace and earring set by Santo Domingo silversmith Torevia Crespin. 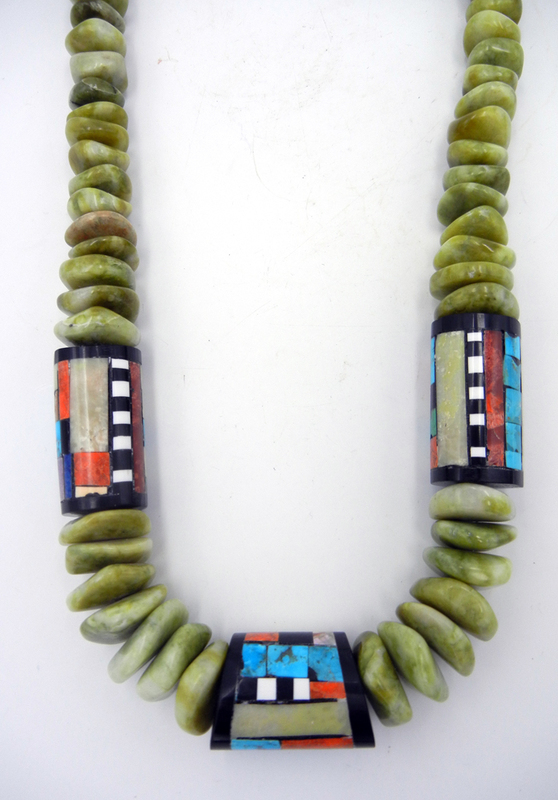 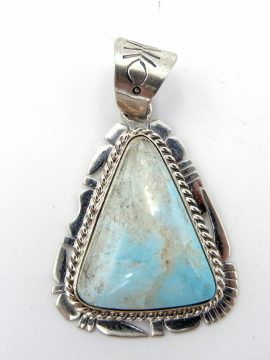 The necklace consists of large to medium serpentine nuggets, graduating smaller toward each end, and separated by three barrels inlaid with multiple stones. 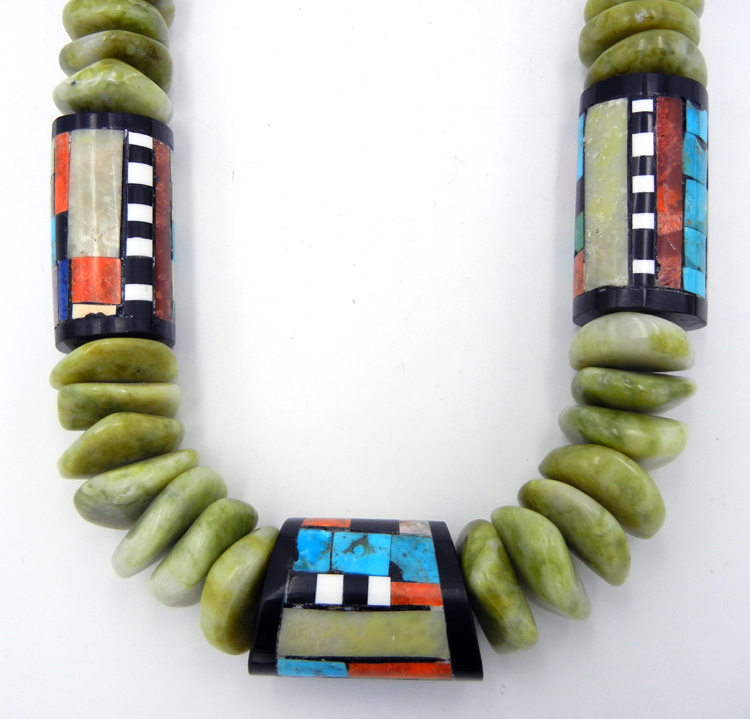 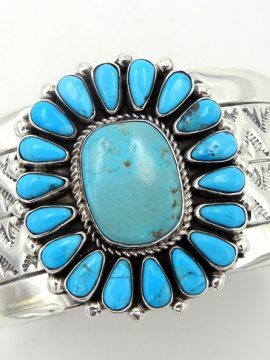 Stones inlaid within each barrel include jet, turquoise, serpentine, clam shell, apple coral, and golden mother of pearl. 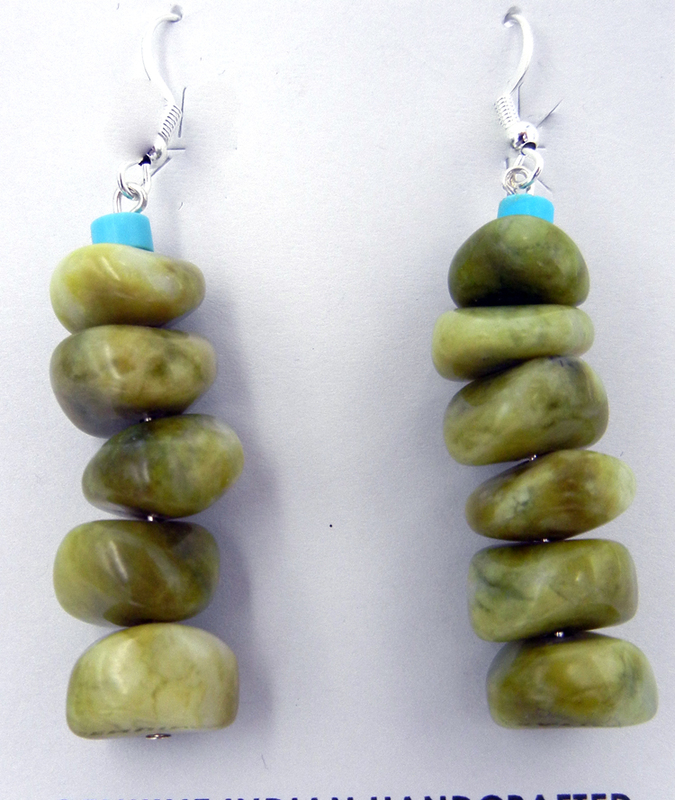 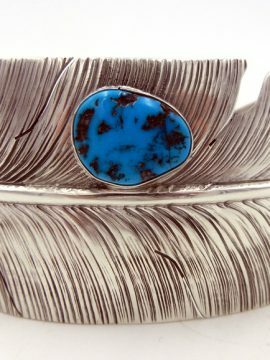 Matching earrings consist solely of serpentine beads, topped with a single, small turquoise discs, which adds a pop of color. 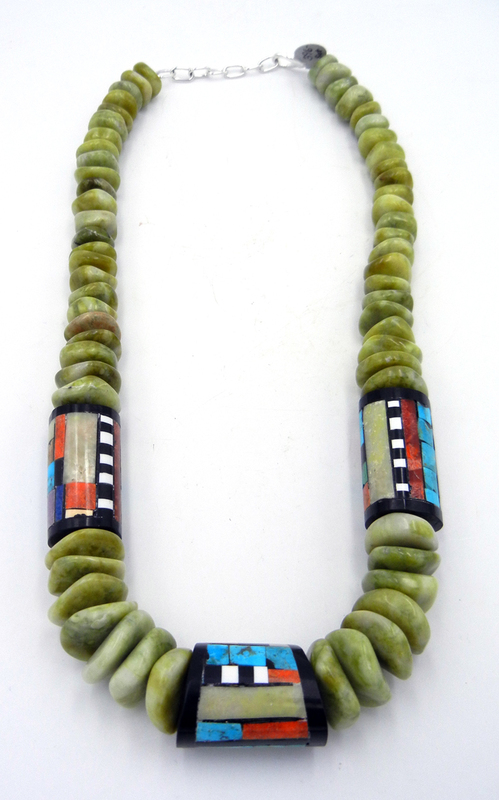 Necklace measures 24″ from end to end, can be adjusted shorter to 22″, and is finished with a lobster claw clasp. 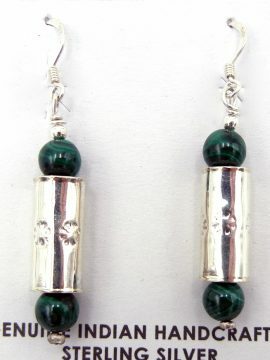 Earrings measure 2 1/2″ long including French hook x approximately 1/2″ wide.